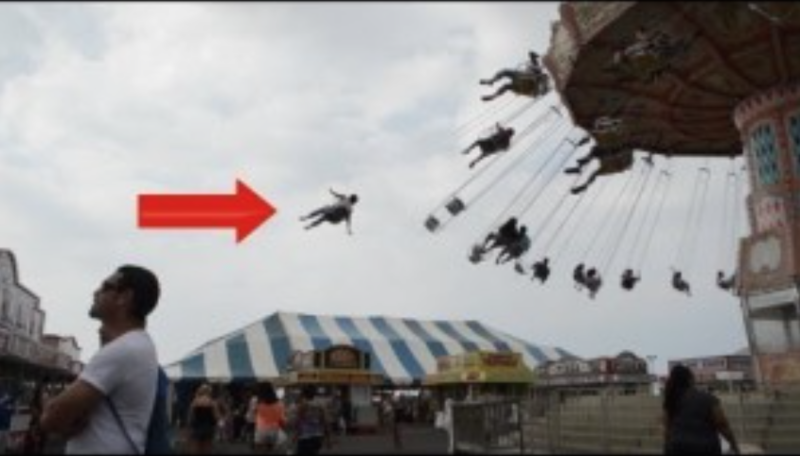 Graphic– Woman Flies Off Amusement Park Swing. Well this video is enough to make you never want to go a an amusement park ever again, or at least not right the giant swing that’s like 50 feet in the air. Also the good yet bad thing about this video is that we don’t get to see the aftermath. I mean not in a bad way. I just want to know if the lady ended up being okay or not. You can’t just watch a train-wreck and then not know if anyone survives. Curiosity is just weird like that. I hope if the lady survived that she at least got a really good settlement from the carnival because that stuff, although it does happen, is not supposed to happen. I literally don’t know what I would do in that moment.